Are you protecting your business with a Mold Addendum that goes with your lease? 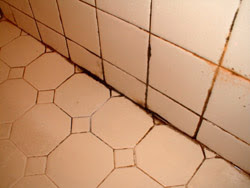 Mold is the big scare these days even though there is mold EVERYWHERE and there are only a couple strains of semi dangerous mold that are VERY RARE. I suggest all of those who don't want to breathe in any mold to NEVER go outside. If you are a tenant you need to notify your landlord immediately if you find any leaks. So they can be taken care of BEFORE mold starts to grow. If you don't and you are growing mold in your shower or something than you are a filthy individual and should really consider taking a class on cleanliness. If any of you LL's need a mold addendum that lays out reasonable responsibilities of a tenant contact me. Below is an interesting article posted in the Blacksburg VA area. Mold has left Stephen Noel without a clean apartment and living in his father's home in Christiansburg. A neighbor noticed mushrooms growing under Noel's couch, as well as mold covering the carpet, over the summer. After Noel contacted his landlord, cleaning services removed the mushrooms, as well as the mold covering the carpet. But residue remained on and under the flooring. Because Noel and his roommate suffer from severe allergies, they had to move out of the apartment, which is located near Main Street and rented through Raines Property Management. Noel says the apartment needs further cleaning, but he is in a battle with his landlord over who should do the job. Greg Dudash, a Town of Blacksburg property maintenance official, said landlords are supposed to fix things under the Virginia Maintenance Code. “The way the structure was built is the way it needs to be maintained,” he said. The maintenance code requires landlords maintain the condition of the structure based on the time when it was built, but it does not require them to bring buildings up to modern standards if they are older. Noel, a senior aerospace engineering major, was participating in a co-op last spring through the summer and was away from his apartment during that time. He tried to sublease his room with another tenant, but the options fell through, so his neighbor used the space as storage while he was away. When the neighbor was moving things in the apartment, he discovered the mushrooms and mold, which still exists to an extent. Noel said Raines Property Management blamed him for the mold, saying that leaving a window open in the partially above ground apartment caused the growth. Noel said the room was unfit to live in. Situations like these have resulted in blame games — tenants and landlords arguing over who is responsible for mold damage. Dudash said if mold originates from structural causes, such as leaky pipes, the landlord is required to cover the damages. However, if mold grows naturally because of the apartment's location, the landlord is not required to deal with the issue. For example, many rental houses have underground apartments, which are more susceptible to mold spore growth, Dudash said. To combat mold and mildew growth, Dudash said many landlords have started providing tenants with dehumidifiers, which should be used and emptied about every 24 hours. Many mold cases in apartments result from spaces being closed up during warm and humid Blacksburg summers, and students return for fall semesters to find growth, he said. Mold growth in apartments has even often led to legal disputes between tenants and landlords. According to the Virginia Residential Landlord Tenant Act, rental properties covered by the maintenance code require landlords to comply with building and housing codes that affect health and safety. The act also requires landlords to make necessary repairs to keep properties in habitable conditions and take action to prevent moisture accumulation and mold growth. Under the act, landlords are required to disclose visible mold to tenants, and they reserve the right to relocate tenants, if the mold poses a health concern. However, the act doesn’t cover some homes, like those owned by rental companies not meeting a required number of properties. Issues with these companies fall under Virginia Common Law and have fewer landlord requirements. Noel said he is considering legal action over the mold dispute. He said he sent a letter after receiving legal advice, telling his landlord to fix the problem within 21 days, or they would terminate the lease in 30. A version of this article appeared in the Sep 28 issue of the Collegiate Times.